CareerFab: Entrepreneurs and Super Attorney Group KMR Law Group! There’s Destiny’s Child, TLC, and BBD but have you heard of KMR? 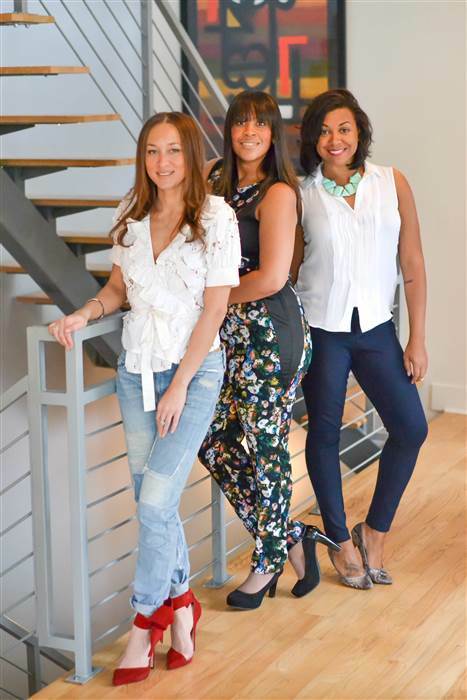 Say hello to Chicago Attorneys Jessica, Yondi and Keli who are the owners and partners of the KMR Law Group. They have been featured on “The Real”, “NBC News”, “Fortune Magazine” and “The Atlantic” to name a few. In honor of Women’s Month, we are happy to feature this super woman group! Read on to figure out the challenges and benefits of being an attorney and entrepreneur. Jessica Reddick’s answers are in blue, Yondi Morris are in pink and Keli Knight are in orange. Visit them online at: www.kmrlawgroup.com ! Out of college I had a job at a large financial investment firm. I was working there with the intention of attending business school. After a year there, I quickly realized that finance was not the industry for me, so I left and tested the water in several other fields. I finally found my fit at a large law firm in my hometown of Washington, D.C. It quickly became clear that I had a legal mind, but had no desire to commit to the lifestyle of a top law firm where billing a high number of hours was a requirement. So I applied to law school with a passion for the law, but with the intention of paving my own way. I knew at a young age that I wanted to be an attorney. I’m sure one of my parents encouraged me because I was talkative and argumentative. As the years went on, those qualities only increased and my interest in the law increased as well. Growing up I was always told I was going to be a lawyer, likely because of my desire to debate every single topic! When people tell you something from the age of 5 on up, it just kind of sticks. One of my dad’s best friends was a lawyer and as I got older, he started to help me learn how to critically develop my arguments. So it just fit! It was no surprise when I decided to attend law school. My favorite part of practicing with entrepreneurs as clients is being able to play a major role in the development of dreams. Whether it’s helping them finally form the business they’ve been dreaming about or protecting a piece of work that they have created, I find it extremely fulfilling to support my clients on the journey from vision to reality. I love being an entrepreneur. It’s very satisfying to work within a culture that I helped cultivate, especially when I receive feedback that my clients enjoy the culture. It’s also important for me to be a transparent and welcoming legal resource to young people of color who may not have personal connections with attorneys and may not feel comfortable reaching out to one because of the stigma surrounding attorneys. Being an entrepreneur is really exciting to me. I enjoy approaching challenges through a business lens, and figuring out how to get the best outcome. Sometimes I wake up in the middle of the night with a marketing idea, or a new policy that our firm can adopt. That’s often what keeps me going when things get tough. 3) What is the most difficult part of your job? I find it very difficult to disconnect as an entrepreneur. We are ALWAYS on call as owners of the firm, whether it be client centred or adminstrative and regardless of the time of the day, it is our responsibility to manage everything that comes up. The beauty is that I love my partners and we have built a wonderful support system within KMR. Continuing to come up with innovative ways to handle our business and find clients is always challenging because we strive to brand ourselves in a totally different manner than other law firms so there isn’t necessarily a template to work from; just tons of creative thinking and risk taking. Because our law firm is our baby, sometimes it’s very hard to disconnect from it. Thus, work/life balance has always been a pretty big challenge for us. For us as entrepreneurs, mentors are EVERYTHING. Starting a business is such a humbling experience and one of the most important lessons to learn is how to ask for help. Before we opened our doors at KMR, we met with mentors for a whole year who shared their expertise with us. From other lawyers who had successfully started their firm, to those who worked for many years at a large law firm, to judges and corporate counsel, we asked as many questions as we could. Also, as owners of a firm, we are also entrepreneurs, so we reached out to people who worked in areas that we had no expertise in but knew we would need, which included CPAs, marketing and branding consultants, business consultants and more. I really have quite a few. I believe in networking and often have made it almost a part time job. Because of that, I have met a lot of wonderful people while I have been practicing, and they have become informal mentors. From partners at firms to savvy business people, I try to learn from everyone! Think outside the box and create your own path. The field of law can be so traditional and so many lawyers get stuck on the partnership track, quickly finding themselves burned out. What the three of us have in common is that we all looked outside what we were told. We saw a void and filled it. Dream big. When you work around the clock to realize whatever dream you have, you are likely to accomplish it. But, it takes a lot of hard work. Be okay with challenges and maybe even failure, but don’t give up if it is something you truly are passionate about. I consider myself to be a creative, which is why I love working with entertainers and entrepreneurs as my clients. I would maybe be an sports/entertainment agent if not a lawyer. I have a passion for creating and love to be surrounded by people using their talents to chase after dreams. I would have likely been a therapist. I majored in Psychology in undergrad because it was a big interest of mine. I always wanted to be an interior designer. I enjoy the arts and often help others decorate their homes in my spare time to satisfy the urge I have to decorate! I believe that personal style is a great way to express yourself. 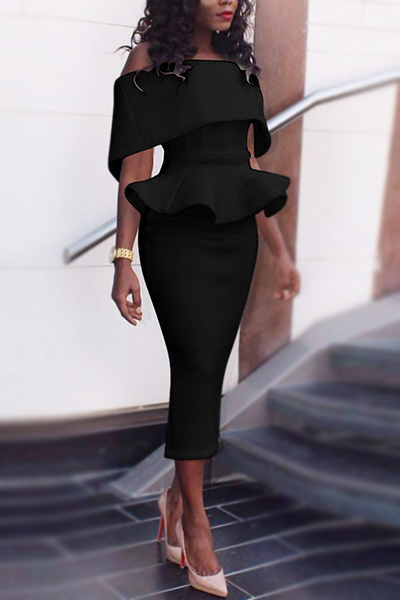 I am really quite versatile and love to mix classic staples with an unexpected twist! I can’t name 1 designer because it really depends on my mood and I am constantly searching for new fashion inpiration. I will invest in a major purchase but I also LOVE a unique vintage piece. I tend to wear a lot of different brands, but my favorite store at the moment is Zara. I am not a heavy make-up girl, as I tend to focus more on skin care and beauty regimes so that I don’t NEED much make-up! I will say that I am loving the Fenty brand. It is so important to see a brands created for us by us …. and it is GOOD! I agree with Jessica regarding Fenty. I otherwise use MAC because the brand is also pretty good with colors that are made for different skin tones while also being bold and bright and trendy. No clue, I don’t wear much make up or have a specific brand. I am loving this new mascara I have made by Benefit. I’ve been using Kerastase for years, and also have natural hair, which I love using Shea Moisture products on when wearing my hair curly. My go to for the last 15 years has been products in the Aveda Brillant line. I love using natural products as much as possible, so my favorite facial oils and cream are from Whole Foods! For my skin I focus on drinking LOTS of water and moisturizing EVERYDAY. Cell phone, wallet, keys, lip gloss & hand cream. Cell phone, wallet, laptop (yep, I carry big purses), bottle of water and a pen. These ladies are my new super heroes! These ladies are my inspiration! I’m almost finished law school and I am contemplating starting my own solo practice. Thanks KMR!